with Olga Zvontsova, Certifeid Senior Iyengar yoga Teacher. Yoga is an ancient and timeless art, science, and philosphy. that has endured the ages for a simple reason - it works! It touches a person's life at every level: physical, mental, and spiritual. Yoga is "evenness of mind". Yoga is "stilling of the waves of thought". Yoga is the union of body, mind, & soul. Iyengar yoga is classical hatha yoga. It is based upon the teachings of Shri B.K.S. Iyengar, world renowned Yoga master. The Iyengar method is safe, orderly, and progressive, and the postures are adjusted to meet the conditions and needs of each student. Strength, coordination, flexibility and an increased sense of well-being are some of the benefits of the Iyengar method. Applied therapeutically, Yoga is an effective tool in relieving back pain, and many other problems. Yogacharya B.K.S. 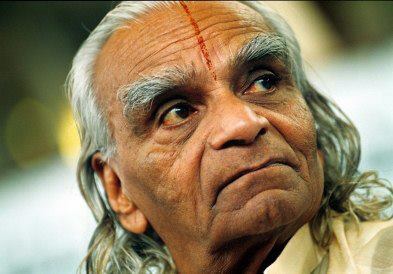 Iyengar is the foremost living authority on yoga. In over 70 years of dedicated practice and teaching he has revitalized this ancient subject and established its importance for modern man. "Iyengar Yoga" is taught today in almost 175 centers in 40 countries around the globe. Classes in English are conducted by Olga Zvontsova, Certified Senior Iyengar yoga teacher. teaches Iyengar yoga since 2003 and is studying yoga in Pune, India, at RIMYI directly from B.K.S.Iyengar, Geeta Iyengar and Prashant Iyengar yearly since 2005. Faeq Biria (France), Gabriella Giubiliaro (Italy), Lois Steinberg (USA), Manouso Manos (USA), Patricia Walden (USA), Dean Lerner (USA), Rita Keller (Germany) and others.